Our new Spring / Summer 2018 range of cycling wear is designed for a zero distraction experience. Padding and compression that enables you to ride harder and longer without feeling discomfort. Aerodynamic, form-fitting designs that cut through the air in style. And will manage the elements of wind, water, sun and temperature without you needing to think about them. -The extremely minimalist Sleek 99 jersey sets new standards in lightweight design for a road jersey. Total jersey weighs a mere 120g fits like a glove. An elastic silicone grip at the bottom maintains the jersey in the correct position. -Aerodynamic cut with front, sides and back pockets made from Rudy fabric, that guarantee extreme breathability. The sleeves and back are in Bodyfit fabric, which is light, strong and wraps around your body to provide an aero effect. -The cut of the collar is inspired by Santini’s aero speedsuit designs. The petal form alleviates any discomfort that may be caused by the zipper coming into contact with the neck. -Uses the most advanced printing and transferring machines available.We transfer each design at an average temperature of 200 degrees making the printing durable for life. 100% made in Italy, using only the highest quality Italian fabric. -More elongated on the back, with an elastic waistband and silicone gripper on the bottom, it provides greater stability and adhesion to the body. Long front zip and triple wide back pocket, to store everything you need. 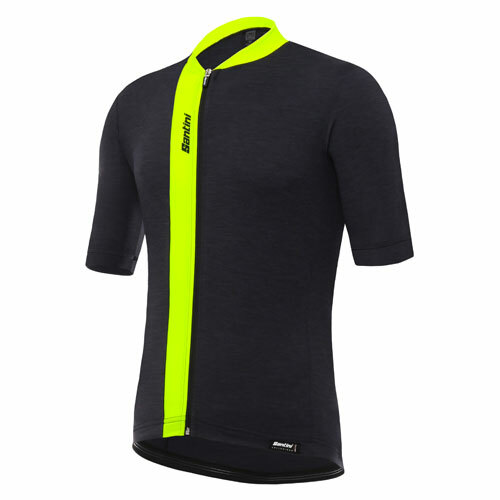 Raw cut sleeves made in incredibly comfortable, lightweight and aerodynamic Bodyfit fabric. -Designed using the same fabrics and cut as the official UCI rainbow jersey. 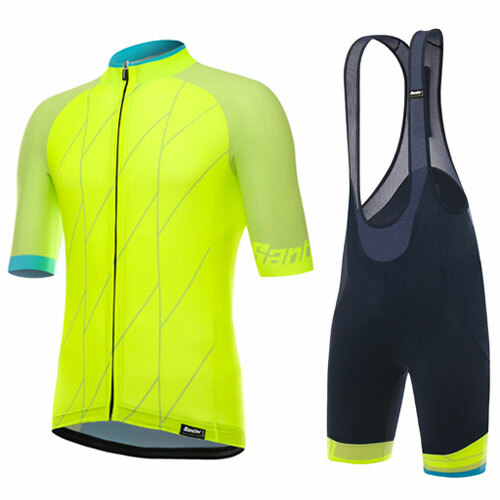 Extremely light and soft microfibre material is used on the front and sides, while the moisture-wicking Cyber-Rider fabric features on the back and shoulders. This combination gives you excellent breathability and temperature control. -Superb mix of tailored-fit and advanced moisture managing materials combine to provide the ultimate racing performance, without compromising on comfort. -Each garment is made with high quality, locally-sourcedmaterials. Vigorous quality controls are in place to check every item produced. Made in Italy by our highly skilled production staff. -Built around the state of the art C3 chamois that adheres perfectly to the contours of the body, allowing maximum freedom of movement. The hip and back panels are constructed from Dyneema anti-cut and anti-abrasion fabric as these areas are typical points of contact in a crash. -Ask any pro, and road rash on your hips after a crash makes getting a good night’s sleep difficult. Broken skin also increases the risk of infection. The Impact bib-shorts will help you bounce back in the unfortunate case of an accident, by minimising skin injuries. They’re reinforced with antirip - the world’s strongest material - they’re 15 times stronger than steel. 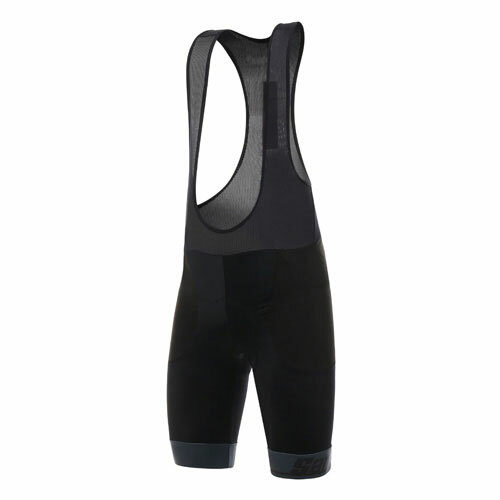 Impact bibs are also extremely lightweight, flexible and breathable. Wrapped up in a stylish all-black design that will match any jersey. -C3 chamois offers unparalleled comfort. It is manufactured using a new process called Carving Technology, which reduces the volume and thickness in two overlapping foam cores to create multiple densities without stitching. This special technique allows the pad maximum shock protection, incredible lightness and breathability. -Genuine made in Italy garment, created by our highly skilled production staff and in collaboration with our sponsored pro-athletes. Roadtested by some of the best riders in the World. We select only the highest quality, locally-sourced fabrics. 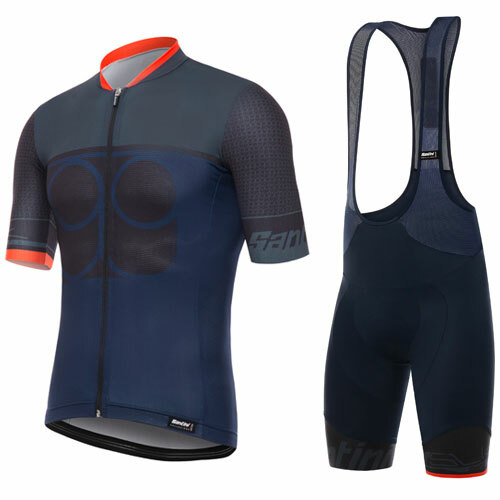 -With its multi-panel construction and use of the special elasticated and breathable Andorra micro-fabric on the front and the back, this jersey will conform to the contours of your body like no other jersey. -The rear triple pocket has been carefully designed to seamlessly blend with the jersey design, while being large enough to store all you need to carry. -The Andorra fabric used on the front and back is an innovative mix of polyamide microfiber that is extremely compact, light and soft. This truly unique fabric blend provides outstanding comfort in the saddle. -Genuine made in Italy garment, created by our highly skilled production staff. We select only the highest quality, locally-sourced fabrics. Each garment undergoes vigorous quality controls and will last a lifetime.